There are few positions on a Fantasy Football team as annoying as the tight end. 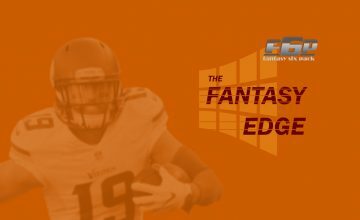 With so few true gems, and so much unpredictability at the position, how you go about drafting tight ends is crucial to guaranteeing success on a Fantasy Football team, and that is why this 2016 Fantasy Football Tight End Preview will help answer some questions about your draft. With how weak the position is overall, it can be glaringly obvious when you have a hole at the position. It can turn a great team into an average one if your tight end is getting you five points per game. Let’s put things in perspective. Last season eight tight ends scored over 100 points when going off of ESPN’s standard scoring system. In that same scoring system, 23 kickers managed to top the century mark. It just proves how much of a difference having a good tight end can make. Can Jordan Reed Stay Healthy? Jordan Reed had a phenomenal 2015 campaign despite missing two games with a concussion. He is projected to have a better 2016 and is projected to go as the second or third tight end taken off the board in most fantasy football drafts. He put up big numbers in 2015, posting 952 receiving yards and 11 touchdowns. He is also one of the most fragile tight ends out there. He has yet to post a season in which he plays more than 14 games and in only three seasons he has missed 14 games. He is also missing most if not all of mini camp this offseason with yet another injury. However he displays one of the highest upsides as well. He developed a rapport with Kirk Cousins and when he stays on the field his production is unmatched. This isn’t anything against Reed’s natural ability. It is hard to match what he can do on the field. It is simply a question of whether or not he can stay on the field long enough to make the impact he did last season. If he is still on the board in rounds five to six, I’d take a chance on Jordan Reed. If you hit, you will avoid the streaming tight end problem that you might have if you wait on one to fall into your lap. Is Gary Barnidge a One-Hit Wonder? The Browns tight end became one of the biggest feel good stories in 2015, racking in 1,043 yards and nine touchdowns. Among tight ends, both of those numbers ranked fourth. But can Barnidge do it again? There is a very good case for him. He plays in Cleveland, home to one of the worst receiving corps in the league. Yes, they drafted Corey Coleman in the first round of the NFL Draft this year. They also lost playmaker Travis Benjamin to San Diego, so Barnidge has a good chance to repeat. His volume of targets shouldn’t drop substantially if at all, which usually bodes very well for people at that position. In fact, the only thing that seriously concerns me about Gary Barnidge for the 2016 fantasy season is the quarterback situation. Robert Griffin III is the current projected starter in Cleveland for the upcoming season. 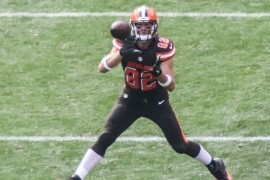 If he struggles, Barnidge could struggle as a result. Coach Hue Jackson also is preaching a higher focus on the running game this season, so take that as you will. 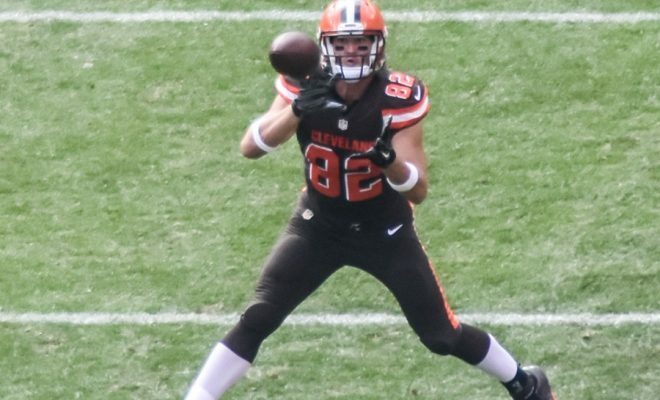 I think that Barnidge could continue his success in 2016, albeit maybe to a lesser extent. I would not hesitate to draft him this season in the later rounds, as he has a much higher potential than most players at that position. Who Moved and Will it Help Them in 2016? There was a lot of shifting at the position during the 2016 offseason. Three specific players to look at are Ladarius Green, Ben Watson, and Coby Fleener. Ladarius Green moved from San Diego where he spent the first four seasons of his career to Pittsburgh. He is slated to replace Heath Miller, the long beloved tight end who retired after last season. Green is moving out of the shadows of Antonio Gates and into what is arguably the most high-powered offense in the NFL. Green’s talent is something that Pittsburgh saw and signed him for, but his main concern is staying healthy. He hasn’t played a full season since 2013 and although less risky than Reed, he is still a risk. He is someone that could flourish in 2016 due to the offense that he is in. Markus Wheaton will be out for the whole season after getting suspended for a second failed drug test, leaving Big Ben without a true number two receiver after Antonio Brown. Green could be that complement that the Steelers are looking for in what figures to be one of the more aggressive offenses in the NFL. Look for Green to have a breakout year in 2016. Ben Watson is now in Baltimore after a breakout campaign in New Orleans last season. Watson is 35 years old and is joining a crowded tight end position in his new home. In his 12-year career, this is the first time he has eclipsed 800 yards receiving. 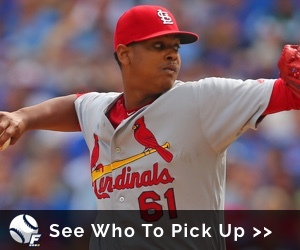 If he can find a way to solidify himself on top of the depth chart, he could be a serviceable option. However to do that he will have to push Maxx Williams and Crockett Gilmore down on the depth chart. The Ravens could easily look to develop some of their young tight ends into future starters. I’m not very confident in Watson’s chances in 2016. His situation just isn’t something that I can get excited about, but there are certainly worse options to go after during your draft this season. Finally we have Coby Fleener, who is headed to New Orleans after spending the first four years of his career with Andrew Luck in Indianapolis. If there is one thing that Drew Brees and the Saints do well, it is finding tight ends and making them shine. Jimmy Graham and Ben Watson are perfect examples of this. Fleener has played in every game the past three seasons. Paired with Drew Brees, he could turn out to be a dangerous player in the New Orleans passing game. He disappointed last season, but he did not have the luxury of playing with a healthy Andrew Luck. With a good quarterback, he has proven that he can shine in any offense. I am very high on Fleener this season. He could turn out to be a top five tight end at the end of the season. 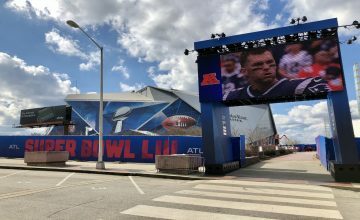 Some people target Rob Gronkowski in the first round of their draft and address the concern at tight end right then and there. If it makes sense, I have no problem with this strategy. Gronk is far and away the best tight end in football playing with arguably the best quarterback. If you are blessed with a pick at the end of the first round, Gronk is by far the safest bet of any tight end. After Gronk there really aren’t any tight ends that are clear-cut studs. Greg Olsen has been consistent his entire career and Jordan Reed has a lot of talent, but if you miss out on Gronk, then the value of tight ends drops enough where waiting until the later rounds makes sense. There are a lot of tight ends that can service as an acceptable number one option for any lineup. Waiting for a diamond in the rough makes more sense than reaching for someone you think will hit come draft season. Tyler Eifert turned out to be one of the biggest bargains in 2015, leading all tight ends with 13 touchdowns. He dominated the red zone, but injury concerns have me nervous in 2016. If he can’t stay on the field he is clearly not worth a sixth round draft pick and his 13 touchdowns will be very difficult to do again, even if he is in Cincinnati. I think Eifert is very talented and hurts the fantasy value of everyone who shares the field with him. However, I don’t see him repeating his 2015 numbers, especially given his low yardage totals. Walker also broke out in 2015, and I think he could be good in 2016, but let’s look at the offseason for Tennessee. They bolstered their run game with DeMarco Murray and rookie Derrick Henry. That isn’t good news for Walker. Especially when quarterback Marcus Mariota can be seen saying he wouldn’t mind handing the ball of 40 times if it led to a victory. His receivers around him are also improved. Joining Kendall Wright will be a much-improved Dorial Green-Beckham, Rishard Matthews who was signed in free agency, and rookie Tajae Sharpe. He didn’t have that to compete with in 2015. There just won’t be as many targets to go around as there were last season. I think that Walker will still have his chances to be successful. However, I don’t think he will be able to repeat his 2015 numbers. Thomas missed the first four games of the season in 2015 with an injury, but still was able to bring in respectable numbers for a tight end. He has now had an entire season to work with Blake Bortles and he has received nothing but praise. He is in a passing offense which means that the targets will be there, and coming in with a late round asking price, there are definitely worse options getting taken earlier on in drafts. If he can stay on the field, look for Thomas to bring in higher numbers in 2016. Miller’s current rank is ridiculous. Jay Cutler is still in Chicago and Miller is now the number one tight end. He could end up being the steal of the season for fantasy football drafts as Jared Cook, Austin Seferian-Jenkins, and Eric Ebron are all being drafted way ahead of Miller. That is a travesty. Miller had three receptions for 35 yards in the first eight weeks of the season. In weeks nine through sixteen, he blew up for 31 catches for 404 yards and five touchdowns. That seems to be the kind of production he can put up without Bennett taking away snaps. If Miller is still there in the last round of your draft, and there is a good chance he will be, he is definitely worth a draft pick. He’s the kind of tight end that could turn into a draft day steal. Next Story → Fantasy Football Dynasty-Keeper Strategy: Go Young or Old? Eric is a writer for Fantasy Six Pack who has grown up studying nothing but sports. Follow him on twitter at @ERob_F6P.